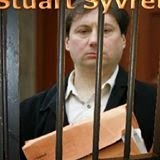 Britain's Guardian newspaper is carrying a chilling story about the sentencing of Jersey's former health minister Stuart Syvret to three months in prison, on account of statements he has made in a controversial blog that has angered many in the Jersey establishment over a number of years. "According to John Hemming, a Liberal Democrat MP, Syvret has been unfairly prosecuted for revealing information in the public interest, including evidence that a nurse on the island may have killed some of his patients." "He was not allowed to adduce as evidence the case to which he referred on his web log, which is a public interest defence that he needed to reveal the failures of the judicial system in Jersey." "None of the four individuals named has ever attempted to sue Syvret for defamation. Instead, the data protection commissioner in Jersey, Emma Martins, has prosecuted him under the Data Protection Act. She argues, highly unusually, that Syvret is the "data controller" of his blog (a position usually held in a large corporation) and that he has no right to name and shame people on his blog, whether or not the information he reveals about them is correct." Our emphasis added. Even though we are not familiar with the details of these allegations, we do have long experience and knowledge of this particular tax haven, and we are well aware of the regular abuses of power by its financially-dependent oligarchy. This is just another example. In case you doubt what's been going on in Jersey, read (just for example) this statement by Jersey's former police chief. Which has, true to the 'captured' character of the place, never been aired in Jersey's mainstream media. Update 2014: for more on the Finance Curse see here.